Immigrant Justice is an important focus of our work. We support efforts to make New Jersey a fair and welcoming state, and applaud the inclusion in the budget of funds for legal supports for those at risk of deportation. Why this issue is important for our state? Allowing all New Jerseyans who can prove their identity and in-state residence to be trained, licensed, and insured would make the state safer, help the state’s economy, and increase the well being of families. Welcoming diversity is a hallmark of our state; enabling access to drivers’ licenses supports this value and helps all immigrants to contribute and integrate in their communities. Testing for the license improves driving competence and safety, and licensing fees would boost state economy. Workers would have better access to jobs if they can drive to work, and parents can get their children to doctor appointments. Other New Jerseyans who are unable to obtain required 6-point documentation would benefit, such as those who have fled domestic abuse or are transgender. Why this issue is important to us as Reform Jews? Our faith demands of us concern for the stranger in our midst. “When strangers sojourn with you in your land, you shall not do them wrong. The strangers who sojourn with you shall be to you as the natives among you, and you shall love them as yourself; for you were strangers in the land of Egypt” (Leviticus 19:33-34). This principle permeates Jewish tradition and is echoed 35 times in the Torah. What we want our legislators to do (“The Ask”)? 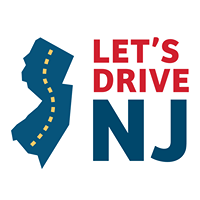 Support NJ Safe and Responsible Driver Act (A1738/S1340), allowing drivers’ licenses for undocumented residents. Vote yes or co-sponsor.